This sweet votive holder lets the light of your candle shine through the calming image of smooth grey river rocks that are depicted on the glass. Size: 2-1/2" in diamter at top, 1-7/8" in diameter at bottom, 2-1/2" tall. 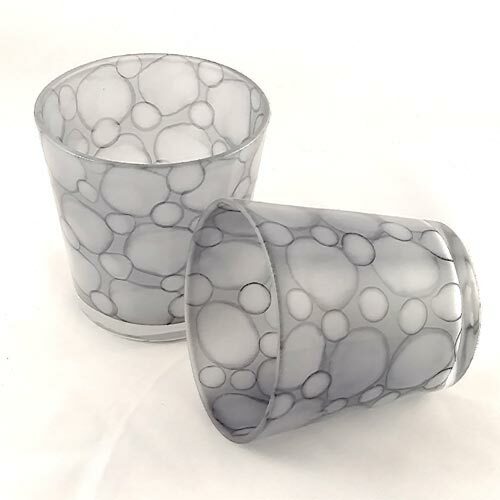 While designed to hold votives, they will also fit tealights and other small candles nicely.